Again, Nokia has proved itself as the leader in manufacturing dirt cheap phones as it introduces the Nokia Asha 501 smartphone. Alongside this is the introduction of the new Asha platform. This makes Nokia Lumia no longer the company’s sole smartphone product line. What differentiates the Nokia Asha from the Nokia Lumia is the price, the Asha being a more affordable and budget-friendly option for those who want to have a feel of using a smartphone. However, if I were you, I won’t expect too much funfare from the Nokia Asha 501. When it comes to specs and feature it will definitely be not in the same level as the cheapest Nokia Lumia smartphone. As mentioned, the Nokia Asha 501 will be dirt cheap. The smartphone’s price will be rocking a $99 market price. The handset pushes the boundaries of affordable smartphone design with bold color, a high-quality build and an innovative user interface. TheNokia Asha 501is the first device to run on the new Asha platform, which is designed to make the experience faster and more responsive. Let’s see then. 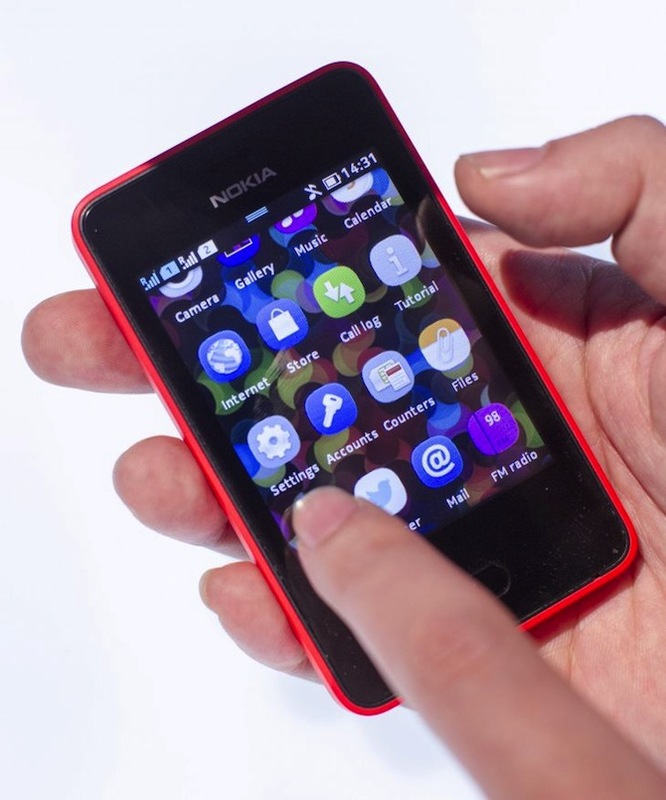 The Nokia Asha 501 features a 3-inch QVGA scratch-resistant display with removable back casing. The scratch-resistant feature of the display is a surprising feature given the phone’s price range. The other features of the Nokia Asha 501 seems not too exciting as well but still good enough for the phone to be considered as a smartphone. These features include a 3.2MP rear camera, Wi-Fi, Bluetooth 3.0, MicroUSB, 3.5mm headset jack and 4GB MicroSD. It will be available in single SIM and dual SIM versions as well as six color variants, namely – red, blue, white, green, black and yellow. An interesting feature of the Asha 501 is its two main user interface screens. These are Home and Fastlane. Home, being your icon-based screen while Fastlane gives you more including recent contacts, social networking features and the most recently apps. In addition, Fastlane also gives you a record of how you’ve used the phone including past, present and future activity. The Nokia Asha 501 is expected to become available sometime in June 2013 and it will be available in more than 90 countries worldwide. Given the availability of other budget-friendly smartphones in the U.S. and Canada, Nokia is surely counting on the market sales of the Nokia Asha 501 from the international markets. So, if the Nokia Asha 501 is offered by major U.S. telcos, will you consider buying it? I will, if just for the sake of experiencing how it performs in real life.